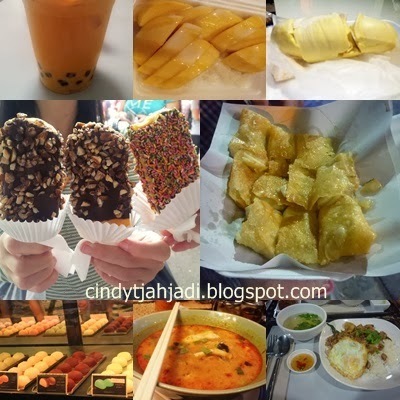 This new post is relate to last post, that 15 Thing You Must Eat in Thailand (YMET) part 2!! 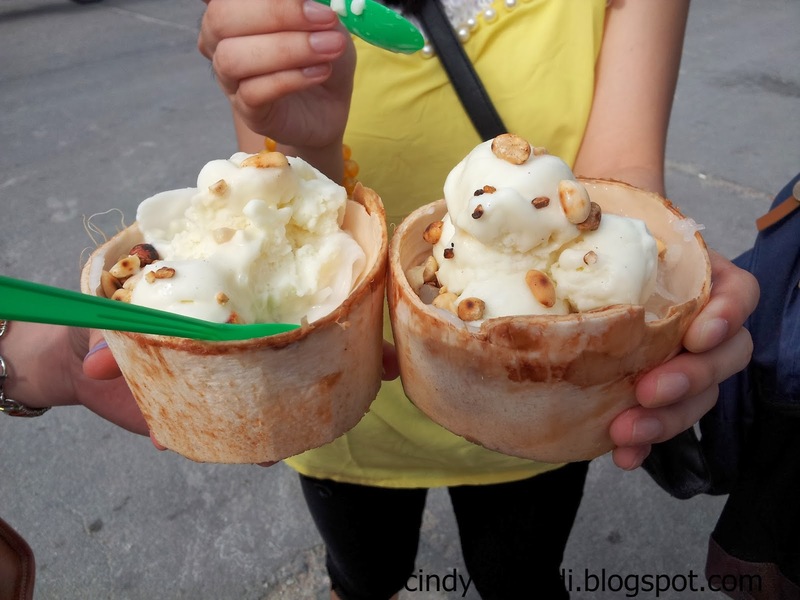 Coconut ice cream with almond is just perfect combination. The real coconut is on coconut ice cream. Coconut shell as its cup. Isn't it cute too? :) Don't forget to try this. It has different taste, feel, and place. YMET !! The price is 20 Baht. What is Mochi ice cream? 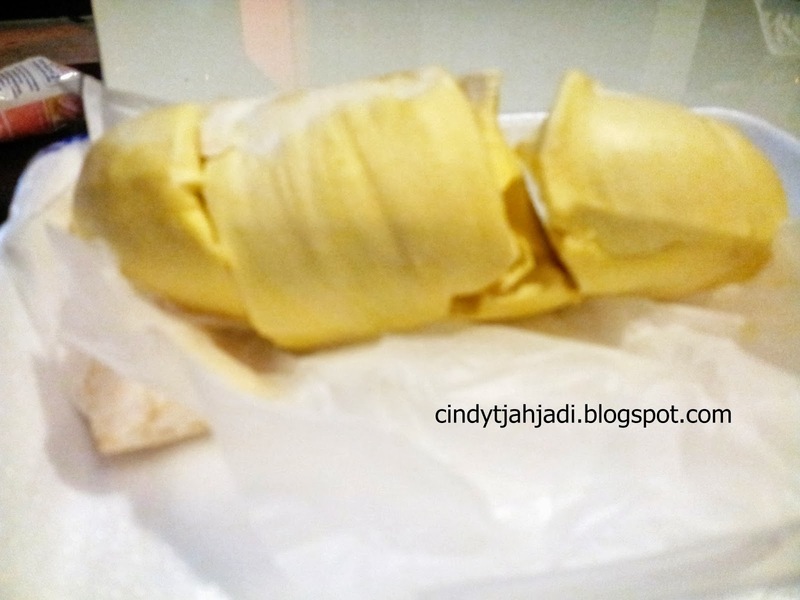 Mochi ice cream is mochi which contain an ice cream. They have many flavors, there are chocolate, vanilla, strawberry, green tea, taro, and tiramisu. Which one your favorite flavor? :) I love the green tea one. Maybe in some countries, it wasn't special like the other thai food. But, why don't you try to eat it while enjoy an beautiful asiatique's design and they big wheel. Lovable feel ! Khao Niau Mamuang is one of thai food and of course, it's a popular food. You can find it wherever you go. 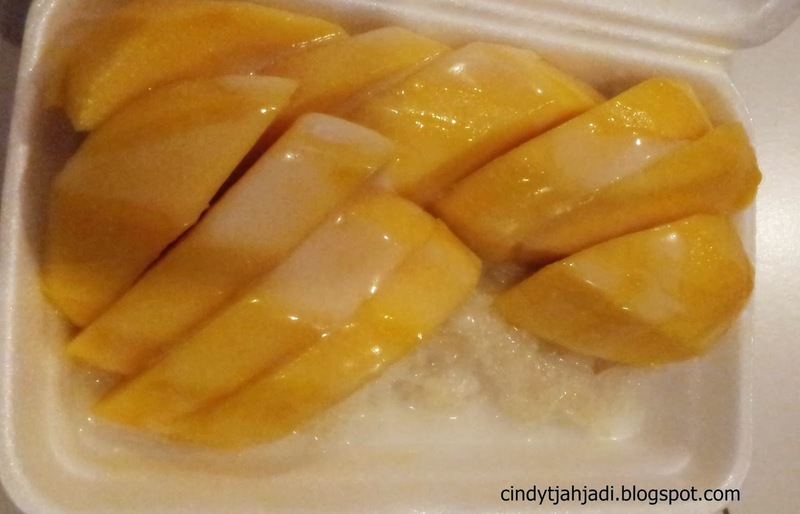 Sticky rice with mango + coconut soup (?) . The Coconut soup, Indonesian people called it 'santan'. I love the mango. The mango are sweet and nice. I love mango i love mango i love mango. I bought and ate it in Chatuchak Market. It's perfect situation, when u are shopping in hot summer and then you eat this mango ice cream. FRESH !! ahh please i want it more !! Maybe u'll shock with the price. The price is 50 Baht. But, it's worthy. So, don't worry. YMET ! 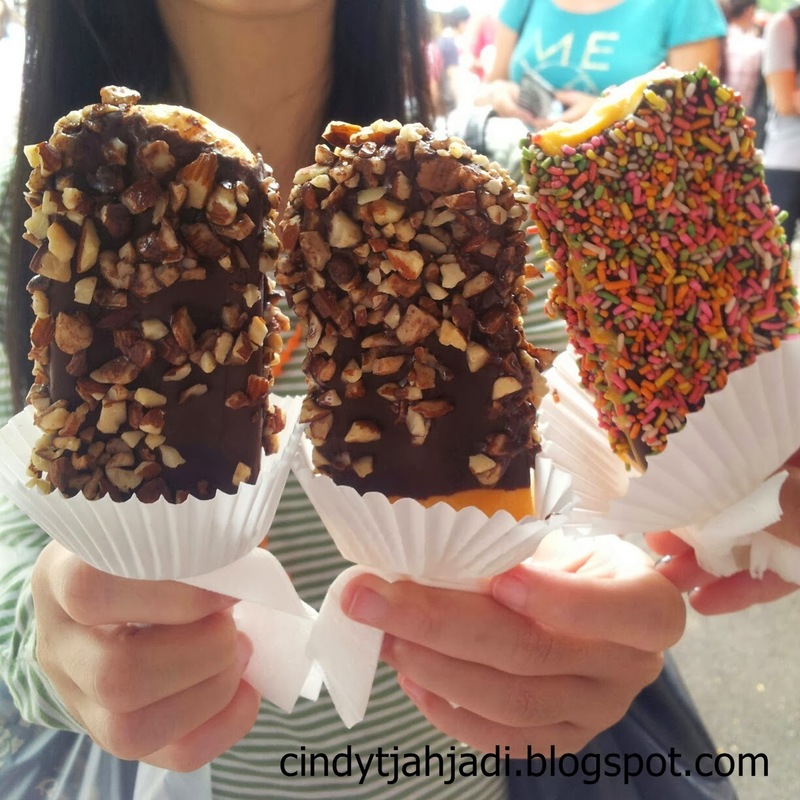 Banana pancake is popular as street food. It's a sweet street food. Maybe for you, it just an ordinary banana pancake. Yes, it is. But, after you eat it, you'll miss it. The different feeling and taste, you'll miss it. Like me :( I swear !! hahaha YMET ! 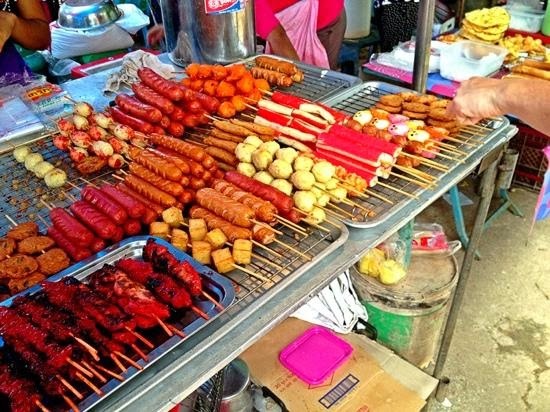 What makes it different with the other countries's street food. They have thai sauce which you won't find in another country. Sweet sour and spicy sauce. nom nom nom. 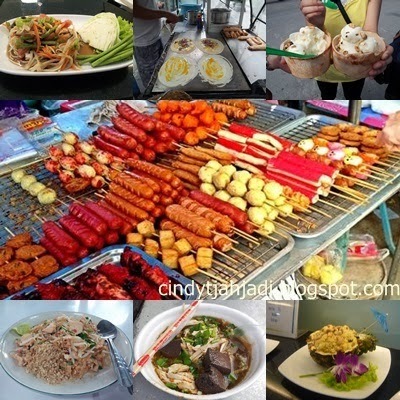 Okay readers, that's the end of my post for 15 things you must eat in Thailand #YMET. I hope it'll help you to not miss or regret not try their food after comeback home.